No lengthy-techy post about how our team completed the migration! Instead, we have something more refreshing! Teliti Computers has decided to outsource their web and email infrastructure to us. Donâ€™t worry, this isnâ€™t a lengthy tech post about how our team did the migration. Instead, we have something more refreshing! Hasniza may look like the girl next door, and she has dreams of becoming a tailor, but donâ€™t judge a book by it’s cover because sheâ€™s responsible for all the technical aspects of her company, and not to mention over 200 staff! 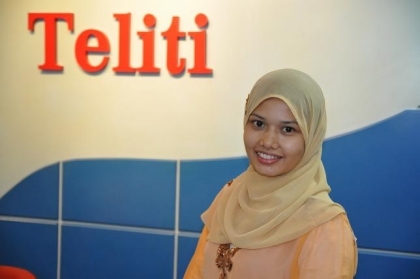 Whatâ€™s more, she designed Telitiâ€™s website, but she needed help and came to us to get her existing mail server out of their internal server room. We communicated with her mainly through emails and we started to learn more about each other and the problems sheâ€™s been facing. Sheâ€™s very friendly and is a great person to work with, so we quickly became friends! By the way, Hasnizaâ€™s also pretty curious about Pinâ€™s designation. Find the full story here!